What's New for the 2019 BMW 4 Series? BMW has been creating fine automobiles since 1923. With a reputation in high-performance, owners of BMW cars get to enjoy both luxury and practical function. With a number of series or models to select from, it's helpful to understand what sets the 4 Series apart from the rest. Since drivers spend an exceptional amount of time in their vehicles, efficient dynamics, connectivity, personality and exceptional quality are paramount. The BMW 4 Series is available in either a 2-door coupe with optional hard-cover convertible top or the 5-door larger hatchback body style. 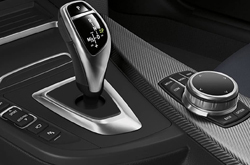 BMW presents buyers with additional standard features and upgraded instrument technology. What Are The Innovative Trims and Stand Out Features? While standing out also comes standard for BMW owners, the newest 2019 4 Series boasts even more. 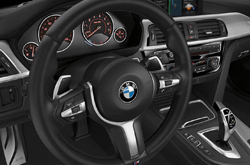 This year's 4 Series allows drivers real-time traffic navigation, Apple CarPlay, and all of the equipment that came on the 2018 Premium Package for more than double the cost of previous standard options. Additional distinguishing features and trim choices include attractive upgrades to the 4-Series body style like flush glass hinges and chrome accents. Either 6-speed manual or 8-speed automatic transmissions are available. The 4 Series has two engine styles. The first, the 440, a 2.0-liter, four-cylinder is turbocharged and gives the driver 248 horsepower. Second, the 430i (larger body) is still both compact and economical. At 5-person capacity and an inter-cooled premium, turbo unleaded I-4, 2.0 L, what family could ask for more? This model has a 3.0-liter, six-cylinder at 326 horsepower. Miles per gallon are up to 34 highway driving on both models. BMW has added LATCH child seat anchors and relocated front seats further forward for safety. Reverse cameras and modern essentials like parking sensors and blind-spot alerts with emergency braking are also ready to go. Additional safety options can be added to model packages like automatic, adaptive headlights and self-parking features. 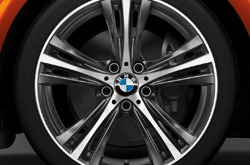 Purchasing a new BMW is a seamless process with the way the manufacturer has grouped new features. Trim and upgrade packages make it easy for drivers to stay focused on the reason they are selecting their new car to begin with, which usually comes down to style, status, and safety. Owning a BMW makes it comfortable for commuters, puts the fun back into driving and keeps the journey safe, efficient and nonchalantly elegant.